Outlaw 皇后乐队 Into The Woods. Please give credit if 你 use it 或者 post it somewhere else!. 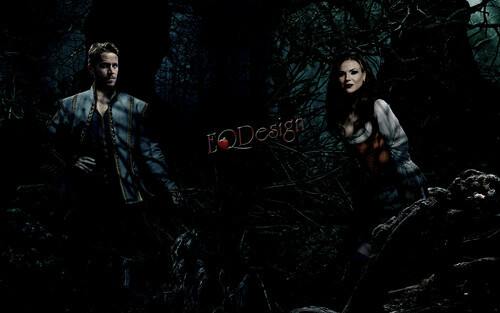 HD Wallpaper and background images in the 童话镇 club tagged: photo once upon a time outlaw queen robin hood regina mills the evil queen evil queen lana parrilla sean maguire ouat fan art eqdesign eq design oncebg. This 童话镇 wallpaper might contain 云杉, 西加云杉, sitka云杉, 云杉sitchensis, 榉木, 山毛榉树, 山毛榉, 美国的白桦树, 纸皮桦, 白桦白千层, 独木舟桦, 白桦茜草, 桦叶楮, 美国白桦, 纸桦树, 纸桦桦树, 独木舟桦树, 滨桦树, 住桦木, 独木舟桦木, and 桦草.